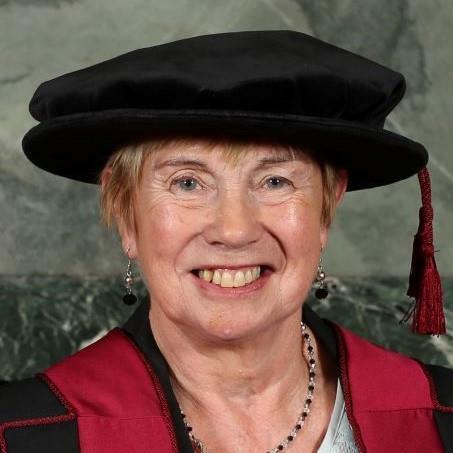 ​Long-standing BADN member Janet Goodwin was awarded an Honorary Fellowship of the Faculty of General Dental Practice (UK) at their Diplomates Day Ceremony at the Law Society in London on Friday 15 March 2019. Janet’s award of the Fellowship was sponsored by Dr Jonathan Farmer and the citation read by Dr. Onkar Dhanoya. Janet is an affiliate of FGDP(UK) and has long served as a representative of the wider dental team, is a dedicated observer on the Board and a contributor to many standing committees, as well as Chair of the DCP Committee. Janet began working in dentistry in 1971, working in general practice, community, dental hospitals and further education, including roles as Nurse Manager at Leeds Dental Institute and Qualifications Manager at NEBDN, for whom she also volunteered as an examiner and as Chairman. She is also the Immediate Past President of the Oral Health Foundation, was the first dental nurse to be a member of the General Dental Council and is a past Chair of its Standards Review Group, as well as a former Governing Body member of Nugent Care Charity in Liverpool and a development manager for the Strategic Health Authority. She currently consults on management and educational projects with City & Guilds as Chief Examiner, and with Dental Team Qualification in the development and delivery of DCP programmes. Janet holds a degree in business management. Janet is a long time supporter of BADN, having received her 25+ years membership brooch from President Hazel Coey at the 2018 National Dental Nursing Conference. She is also a recipient of the BADN Outstanding Contribution to Dental Nursing Award and a BADN Fellow. The British Association of Dental Nurses (BADN), has six special Mother's Day deals for their members. Get access to Dental Nursing's comprehensive CPD coverage ensuring that all dental nurses may achieve their full CPD requirements.